Thanks for your interest in our splitter vans. We condensed the most important facts in English on this page for you. Please don’t hesitate to fill out the contact form below. We will reply at weekdays within 24 hours. 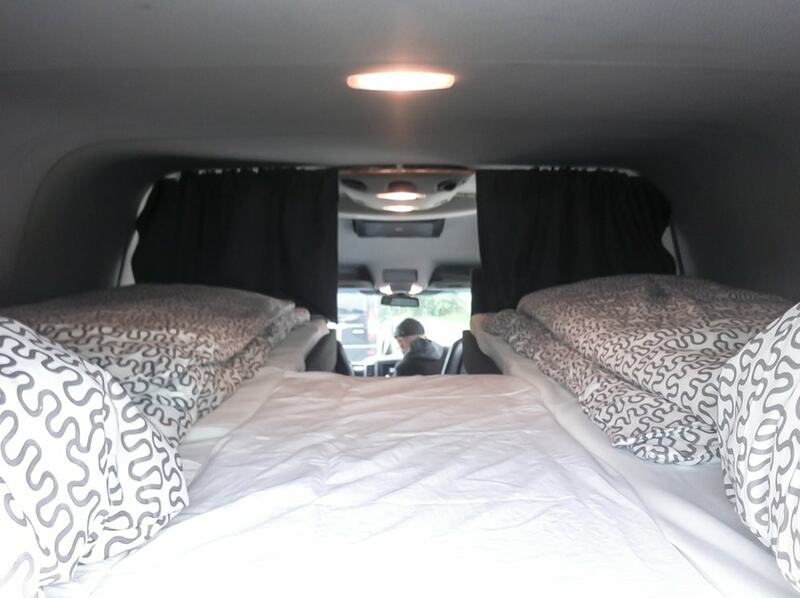 We are a car rental company specialised on comfortable vans with 9 seats for bands, artists and technicians. 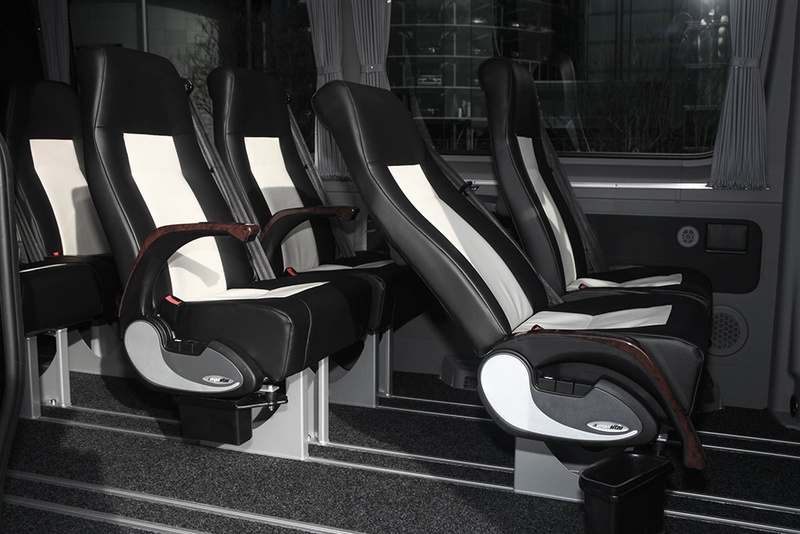 The Luxus-Splitter-Van has adjustable single seats (2-2-2-3) and 220V-sockets. The trunk is separated with a wooden wall from the passenger’s area. 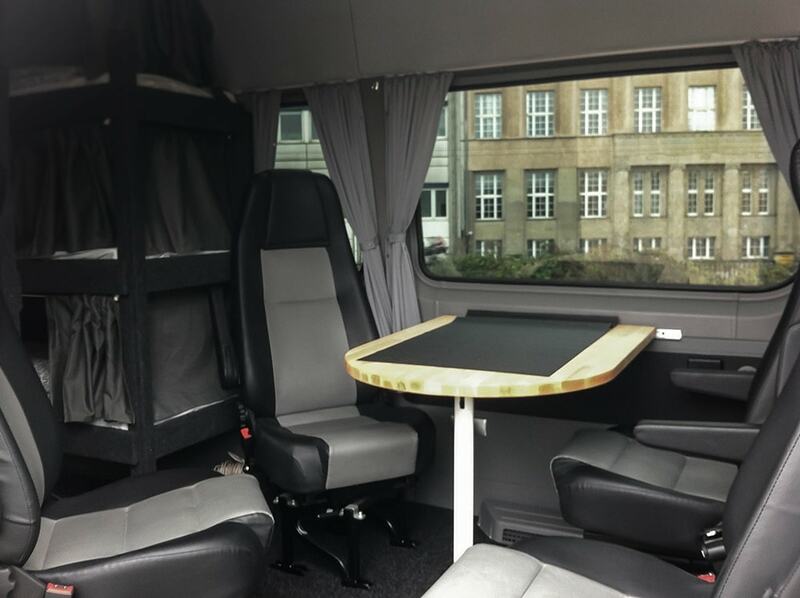 This van has 6 bunks to sleep and 6 seats to sit, including a table. 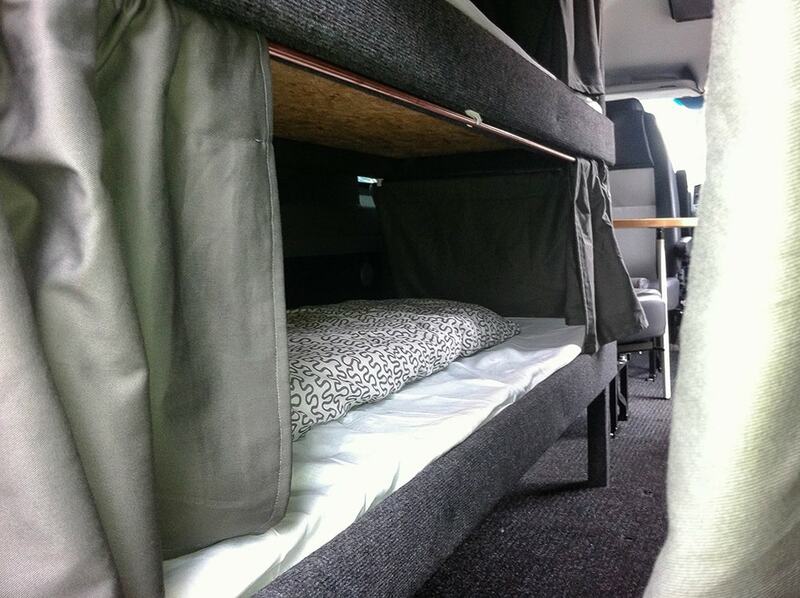 It is a perfect solution for bands or technicians who want to save the money for the hotel or need to travel at night. Including bedlinen! Car insurance is included with 1.200,- € co-payment. For new customers the payment is due before rental start. 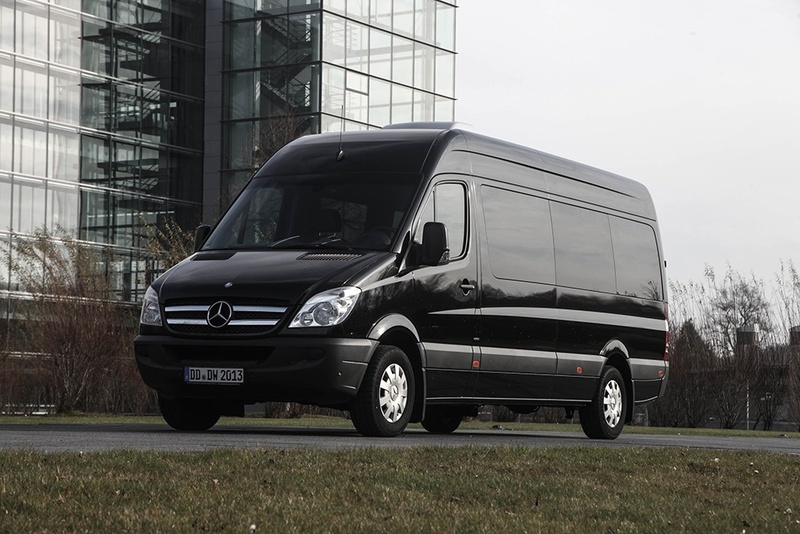 Regular customers can make a prepayment of 50% the rent and pay the other 50% when returning the van. We accept credit card or 1000,- € in cash as deposit. You find more information within our general terms and conditions: AGBs. We deliver the vans within Europe (and pick them up again). We could put you in contact with experienced tour drivers. The seating is changeable. We also rent coolers. All vans have a coupling device for a trailer up to 2t. You could also rent a trailer from us. We work together with experienced backline rental companies. If wanted, we help you to get the van branded. Booking is done by Daniel Wendt, Germany, Dresden. 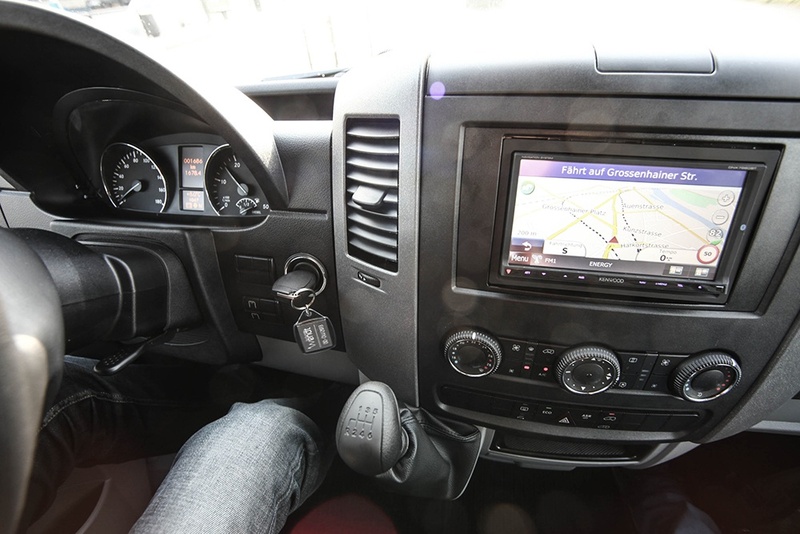 We also provide delivery and pick up service of our vans to your preferred address. Opening hours: Mo. – Fr. from 9am to 6pm or with special appointment. In order to give you a perfect quote it would be very helpful if you fill out as much information’s as you already have. Thanks. Do you need a delivery service? If yes, to which city? Which version(s) of the vans are you interested in? How many kilometers do you need? Please find a detailed description of our dealing with user data in our data privacy statement.